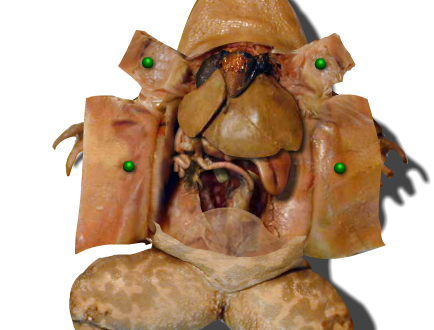 Froguts is an interactive CD-ROM software programs covering virtual dissections of the frog, fetal pig, squid, starfish, cow eye, and owl pellet in highly detailed graphics. Additional modules are added each year. 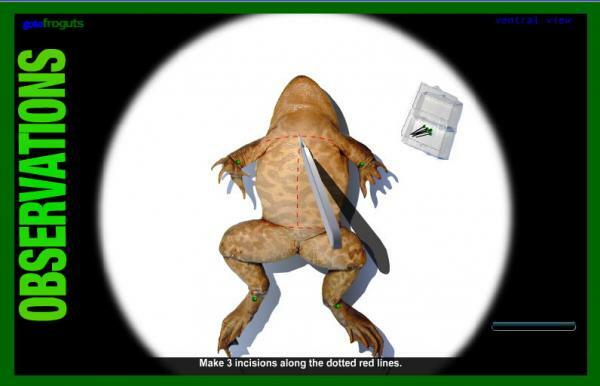 Lessons are systems based, and integrate anatomy, physiology, and ecology through interactive and engaging simulations. Each module starts with external observations and moves from one organ system to the next. Forguts Subscription is appropriate for Middle School, High School, and Higher Education. Each module&lab contains audio narration, and closed captioned text, which is then supported by visual&auditory cues. Randomized quizzes are integrated between each organ system. Final assessments are employed at the end of each module, complete with printable certificates. Students will use microscopes, scalpels, scissors, forceps, x-rays along with 3D visualization engine.